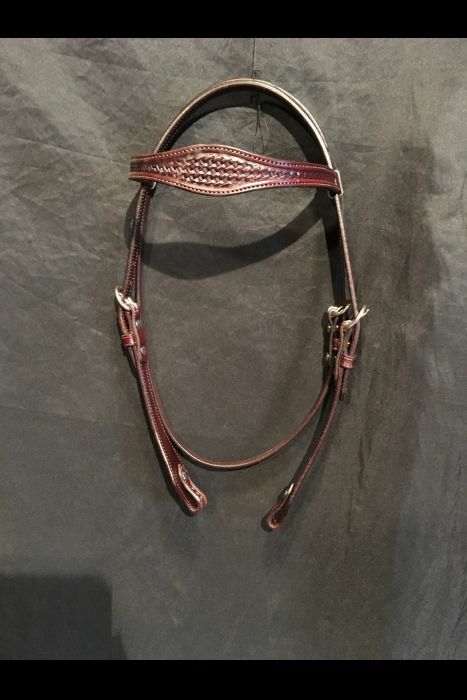 Basket Stamped Dark Brown leather Headstalls. 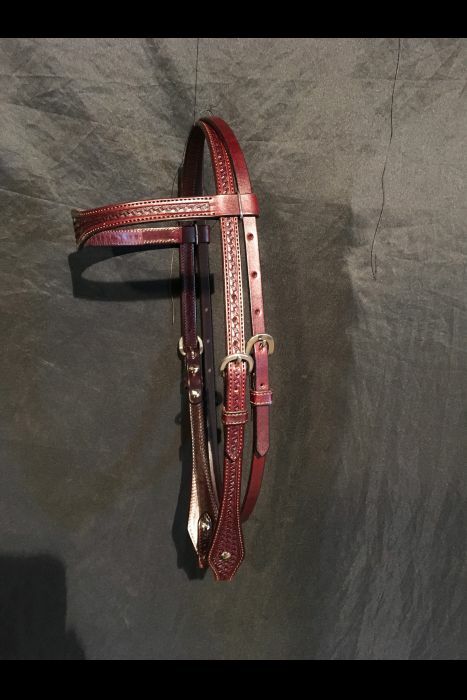 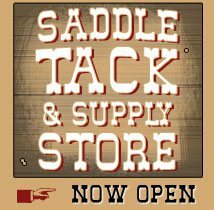 Stainless Steel Buckles, adjustable on each side and throat latch. 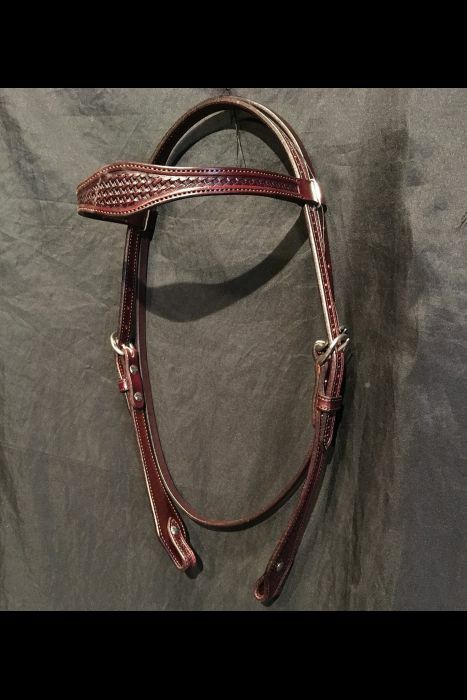 note: Bridles are lighter in the picture then in person.